Orchard Point Harbour brings you the best of both worlds – here you’ll experience the calming cottage-country lifestyle with all the easy-living amenities of an urban-style condominium. From quiet days cozying up to the fire in the Lakeview Lounge to exciting summer nights at a music festival downtown, Orchard Point Harbour and the surrounding area offers an abundance of activities to enjoy all year long. The Lakeside Club at Orchard Point Harbour offers residents resort-style living at its finest. Featuring a state-of-the-art gym, private yoga studio, two spa-inspired steamrooms and a lakeside infinity pool and hot tub, this fitness and wellness centre truly has it all. Spend mornings working out on the treadmill while taking in the expansive floor-to-ceiling views of Lake Simcoe and afternoons enjoying the breezes by the poolside. Located just steps from your suite, The Lakeside Club make it easy and enjoyable to stay active. Experience the heights of luxury at the Lakeview Lounge located on the rooftop of Phase 2 at Orchard Point Harbour. With unobstructed 360-degree views of Lake Simcoe and Lake Couchiching, the Lakeview Lounge provides an ambiance like none other. Entertain in style and privacy in the party room, challenge friends to a game of billiards in the lounge, relax by the fire in the library or dine under the stars at the trellis-covered bar on the terrace. Orchard Point Harbour is a boater’s paradise. Dock your boat right at home in the on-site Starport boat slips that are available to lease throughout the boating season. By leasing a slip you immediately become an exclusive member to the Starport Marina network. Enjoy 5-star service, first class amenities and superior benefits, including access to Starport’s other locations on Lake Simcoe and Georgian Bay. Starport Marina is a premier destination lifestyle marina and is recognized as one of the top marinas in cottage country. With easy access to Lake Simcoe, Lake Couchiching and the extensive Trent-Severn Waterway system, Orillia and the surrounding area is a haven for boating enthusiasts. Whether you’re looking to spend your days sailing on the open water, socializing at the popular Port of Orillia, cruising through secluded islands to find the perfect swimming spot or fishing for pike, perch or trout, the water surrounding Orillia has it all. With five of the area’s best golf courses within 15 minutes of Orillia, Orchard Point Harbour is a great home base for golfing enthusiasts. Here you can golf amidst stunning cottage country scenery. From championship courses to those catering to players just learning the game, you’ll find a golf course close by that suits your skill level. Experience the natural beauty of Orillia and the surrounding area. The City of Orillia boasts many trails that you can enjoy whilst celebrating the magnificent scenery and changing seasons. With over 29 kilometres of trails maintained by the city, Orillia offers walkers, joggers, cyclers, cross-country skiers and more a cost-effective way to enjoy the great outdoors. Savour the winter months in Orillia. Just twenty minutes from Orchard Point Harbour you can enjoy spectacular downhill skiing at the area’s most popular resorts, Mt. St. Louis Moonstone and Horseshoe Resort. The City of Orillia also maintains a number of trails throughout the winter, making it easy to enjoy cross-country skiing, snowmobiling and snowshoeing just steps from home. Orillia and the surrounding area offer an exciting array of eateries to explore! Head to lunch at one of the popular bistros along Mississauga Street, drop in for a coffee or tea and to savour local art at one of the fabulous local cafes or enjoy a delicious dinner at one of the many fine dining establishments throughout the area. Shopping is many things to many people. For some, it’s a quick stop for necessities. For others, it’s an experience that may include a leisurely stroll, window-gazing, a stop for coffee and visiting specialty boutiques. Whatever you’re looking for, Orillia has the shopping experience for you. There is always something happening in Orillia that will entertain, educate or inspire. Enjoy spectacular performances year-round at the renowned Orillia Opera House, a landmark destination in the downtown core or if you’re feeling lucky, head over to Casino Rama for fine dining, world-class entertainment and gaming. With a number of seasonal festivals and events, such as the Mariposa Folk Festival, the Blues and Jazz Festival and the Starry Night Art Walk, there’s always something new and exciting to experience. 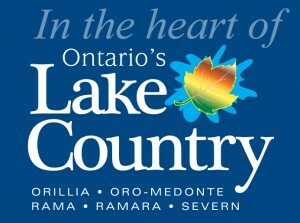 For more information about the area check out Ontario’s Lake Country. Why cottage when you can condo? Discover luxurious condo living in the heart of cottage country! With Muskoka-inspired architecture and a host of amenities including a lakeside pool, fitness centre and on-site Starport Marina. Orchard Point Harbour on Lake Simcoe offers an exciting alternative to traditional lakeside living.